Talk Left give a good post trial commentary. Mark Steyn addresses how out of balance our justice system has become. h/t Instapundit here and here. And Glenn Reynold own commentary here. Will Eric Holder pursue civil rights violations against George Zimmerman? My guess they will pretend to investigate and stall given the earlier FBI reporting finding no racial animus. 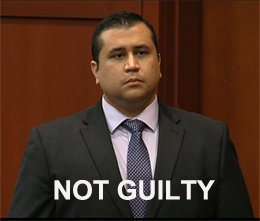 TOM has a different angle: Did Miami Dade County Schools fail Trayvon Martin by not arresting him?